A friendly witch and her cat fly across the countryside on her broom. 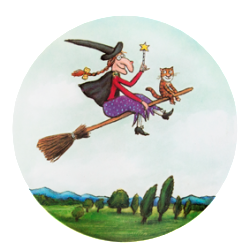 All is well until the wind brings to play a series of events which see new passengers on the broom and a creative solution to a risky confrontation with a dragon. Is there room on the broom for just one more? A wonderful story of friendship, inclusion, earning your place in a group and pulling together to solve problems. 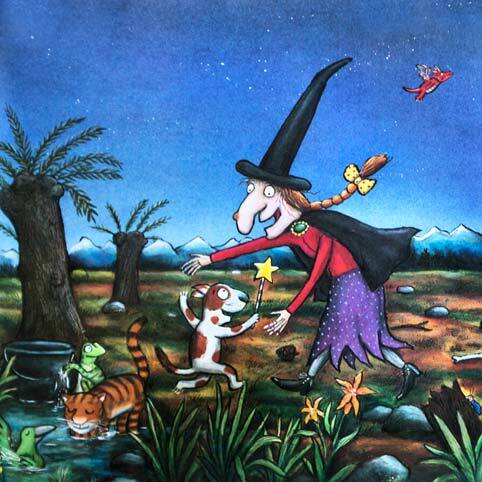 Exciting and lyrically written, this story has fun repetitious phrases which encourage participation and language skills. Masterfully illustrated with expressive characters who bring the storyline to life. Children will notice with each reading, elements within the story which are cleverly included in the pictures. 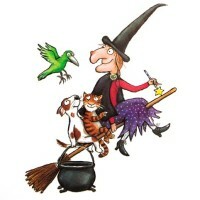 The animals are friendly and polite, becoming a good band of companions on the witch’s rather crowded broom. There is an undercurrent of respect which adds a well rounded feeling to the tale. 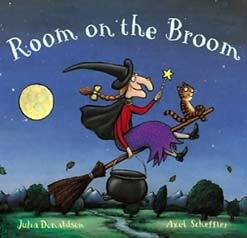 Julia Donaldson and Axel Sceffler have worked together on many award winning childrens books. 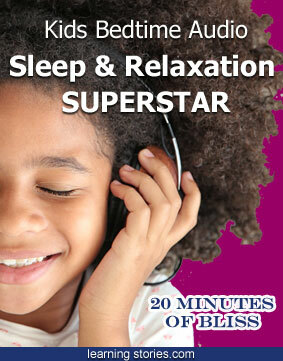 They have a well honed recipe for delight and success. 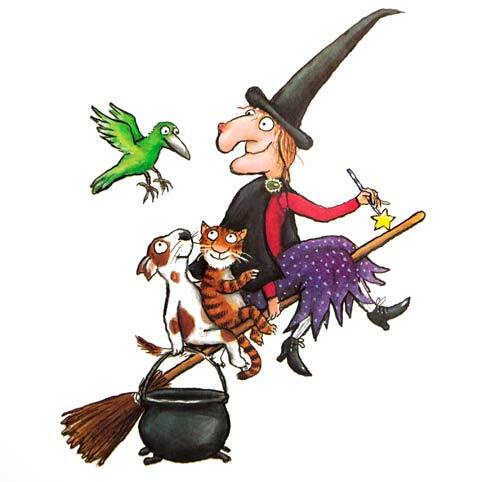 Axel Scheffler is a prolific illustrator of award winning children’s books. 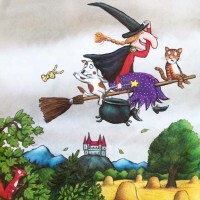 He has illustrated a number of highly successful books, including Muddle Farm, and his novelty books such as The Bedtime Bear are bestsellers too. His books have been translated into 42 languages.